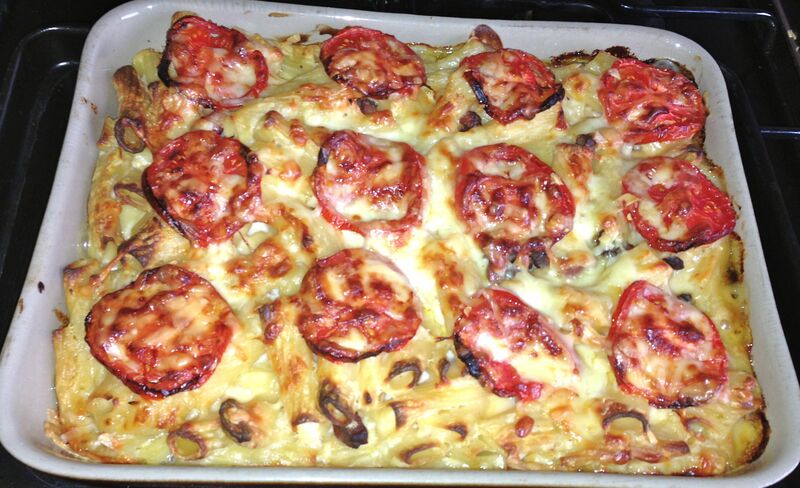 So this is my friend Candy’s recipe for macaroni cheese. She was taught to cook it during school holidays on the North Coast of Natal in South Africa, by her Aunt Jenny. She cooked it for us recently and I think it’s the nicest macaroni cheese I’ve tasted, so I had to make it myself and share it with you. A comforting, cheesy feast that really satisfies. Thanks Cands. Fry bacon bits in a frying pan until nice and crispy. Drain on a paper towel and set aside for use later. Boil pasta according to packet instructions until al dente, drain and set aside. To make your bechamel sauce, melt the butter in a pan. Add the cayenne pepper to the melted butter, then add the flour to the melted butter and mix in until a thick roux is formed. Add half of the milk to the roux, stirring constantly. You may need to use a whisk to get rid of any lumps. Add the rest of the milk and keep whisking on the heat until you have a lump-free, thickening sauce. Add 200g of the Cheddar to the bechamel mixture, whisking it in – the balance of the cheddar will be used for sprinkling on top of your dish. Add the Gruyere and mix in well until melted and incorporated into the sauce. Season the bechamel well with salt and black pepper. Add the crispy bacon bits to the sauce. Pour the drained pasta into the bechamel sauce and mix through. 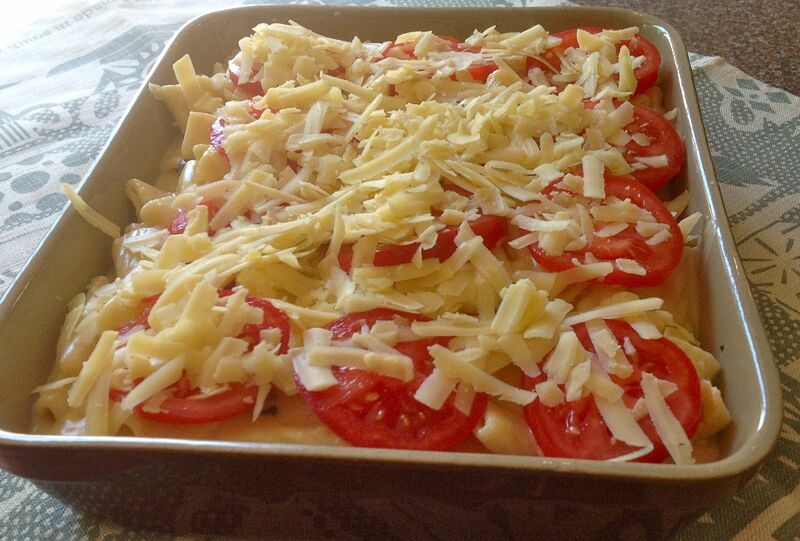 Pour the pasta and bechamel mixture into a bake-proof casserole dish and arrange tomato slices on top. Sprinkle the remaining grated cheddar cheese on top. Place in a pre-heated oven at 180C for 30-35 minutes until bubbling and golden on top. Do you have a favourite dish you learnt to cook as a child? I’d love to hear all about it and try it out for myself, do let me know. That looks like comfort food plus plus. I’ve put that straight into my recipe files, ready for a day when I need a good dose of carbs. YUM!